A major new oil discovery off South Africa's coast could be a 'game-changer' for South Africa, President Cyril Ramaphosa said on Thursday evening. Ramaphosa was speaking only hours after Total announced the deep-water Brulpadda oil and gas find. "Last night I received a call from Minister Gwede Mantashe, when he told me that the oil giant Total would be making a big announcement today about a new world-class oil and gas discovery off the coast of South Africa," said Ramaphosa to applause. "Now - whether you like it or not - we are extremely encouraged by the report this morning about the Brulpadda block in the Outeniqua Basin, which some have described as a 'catalytic find'." "This could well be a game-changer for our country and will have significant consequences for our country’s energy security and the development of this industry. "We congratulate Total and its various partners and wish them well in their endeavours." 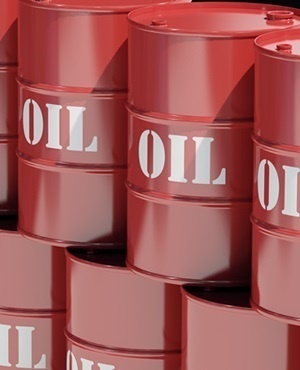 Bloomberg earlier reported that the new oil and gas region has estimated volumes of around 1 billion barrels, according to consultant Wood Mackenzie. "Government will continue to develop legislation for the sector, so that it is properly regulated for the interests of all concerned," said Ramaphosa.